AQ Rate works in partnership with Egerie Research. AQ Rate collaborates regularly with Egerie Research in research projects including a qualitative element. 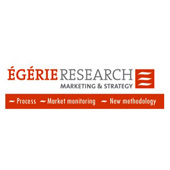 Managed by Joelle Liberman and Carine Fays, Egerie Research is a market research organization reputed for the relevance of its approach and the exactitude of its analyses in qualitative studies.